Modern Marriott meets the classic charm of Victoria in our 236 guest rooms and suites. 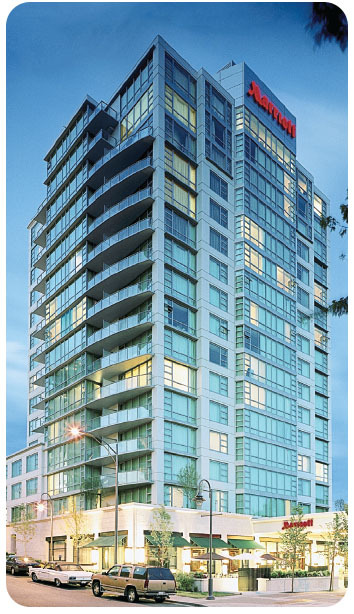 Floor-to-ceiling windows open to views of downtown and the Inner Harbour. Cozy duvets, luxury linens, fluffy robes, complimentary high-speed Internet, breezy balconies and other four-diamond touches help take the work out of your day. Welcome up to 280 guests with impeccable service and style in our 5000 s.f. flexible function space. Stage your event in the elegant ballroom or one of six meeting rooms, taking breaks in our Pacific foyer and outdoor garden terrace. Our in house AV team at the Victoria Marriott Inner Harbour takes the utmost pride in providing advice, products and quality of services which guarantee an outstanding AV presentation plus complete peace of mind. Named the Victoria Chamber of Commerce’s Business of the Year for 2009 and with a comprehensive network of professional audio visual equipment and large team of qualified technicians, SW Audio Visual is British Columbia’s most trusted audio visual services company. 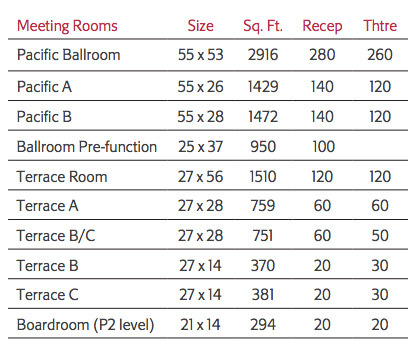 All figures are maximum capacities and subject to change based on room set-up configurations that include audio-visual equipment, head tables, etc.